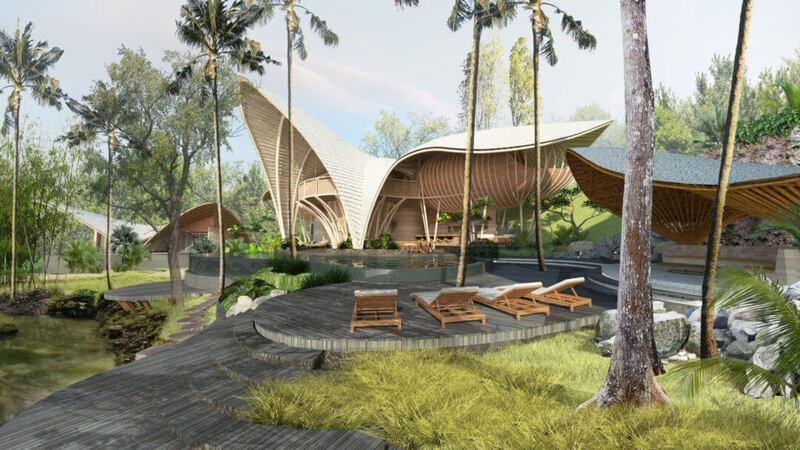 Hidden away in Kaba Kaba, Bali, on sloping land that meets a meandering stream featuring waterfalls and a range of elegant trees, this residence and retreat looks to wholly merge into its enchanting environment. 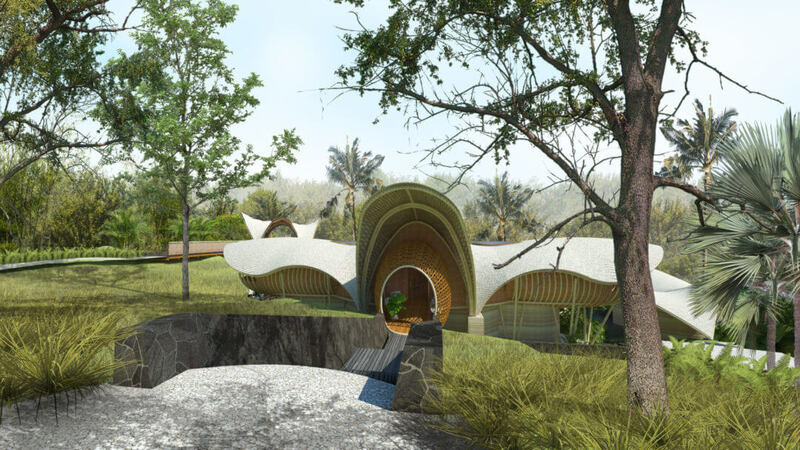 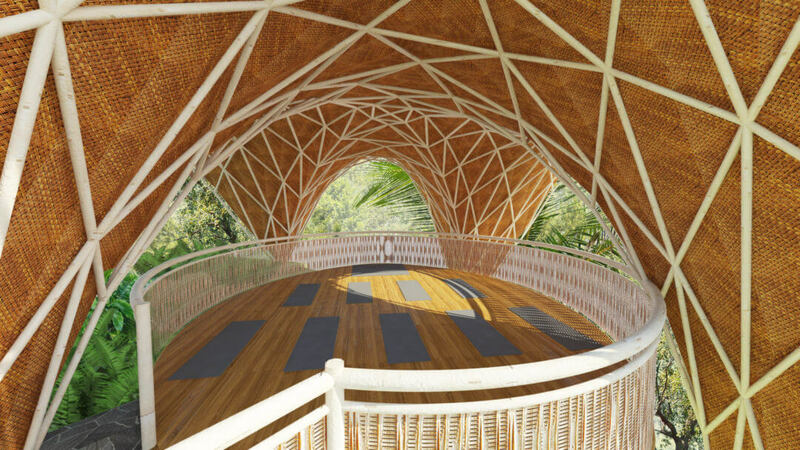 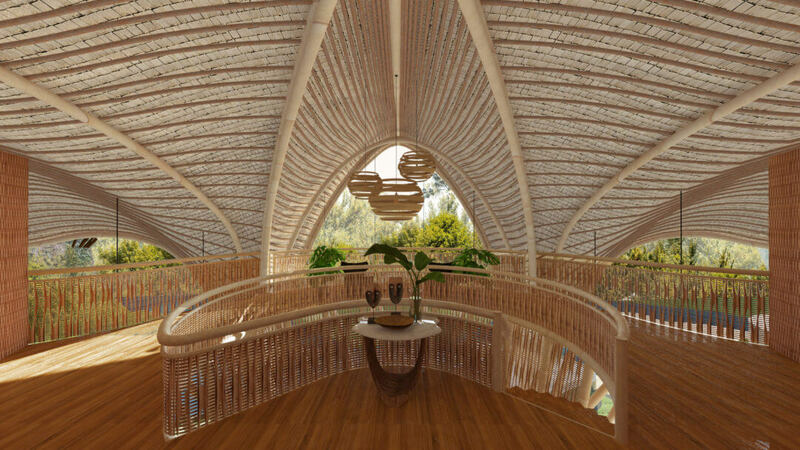 Designed to be fully carbon zero, it is composed of bamboo structure, rammed earth walls and recycled timber joinery. 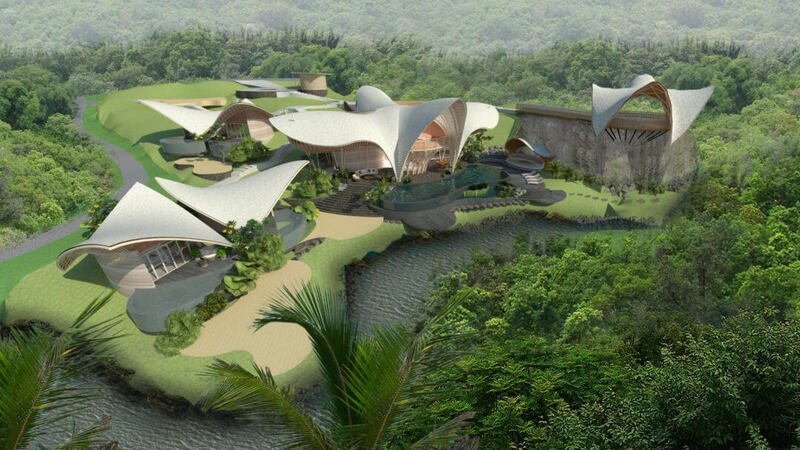 Power will come from using a combination of photo voltaic panels and a hydro generator using the adjacent waterfall. 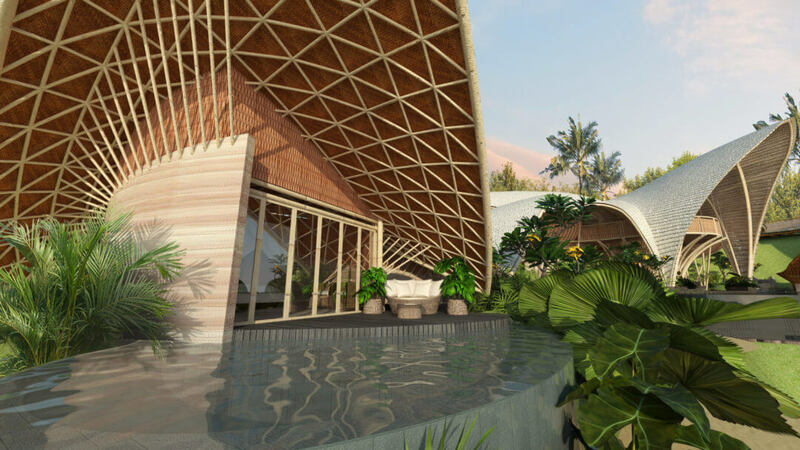 Entering on the upper floor, spaces flow from one to another to each wing of the complex, floating outwards to engage with the views. 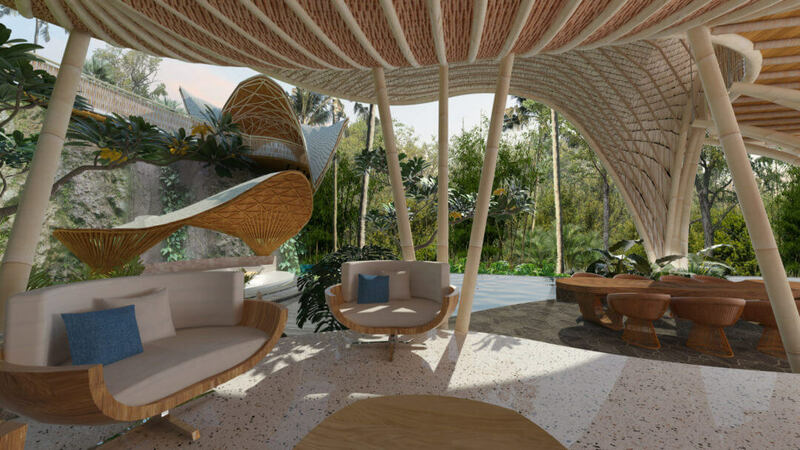 With passive ventilation and cooling in mind, much of the arrangement is open, with some rooms having the flexibility to be closed from the elements when required. 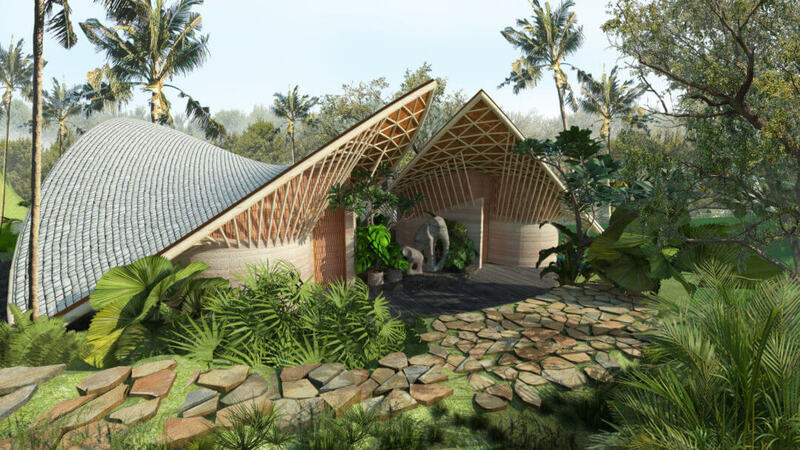 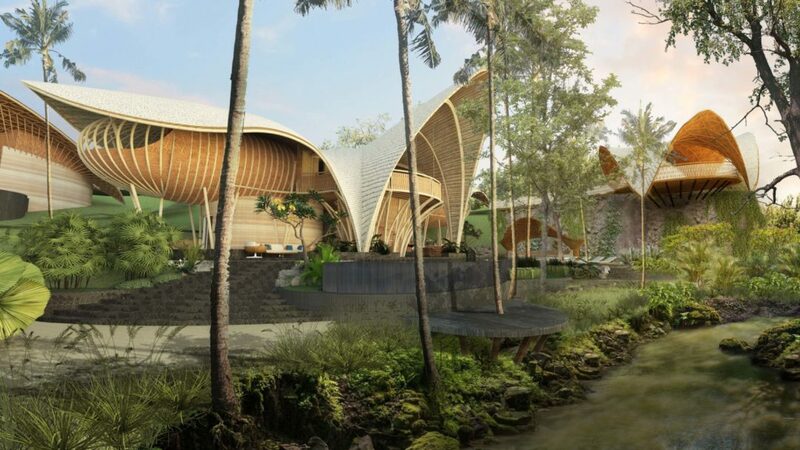 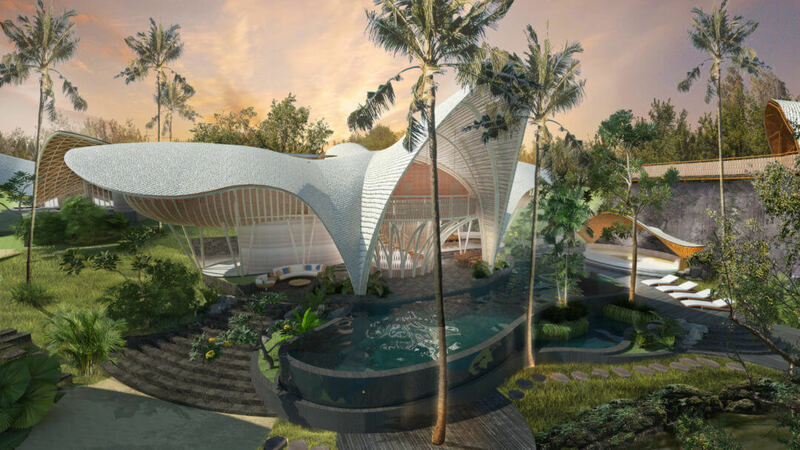 The main house is complimented with guest houses that continue the curvilinear forms and a yoga studio that is perched off a cliff face overlooking the forest and tranquil rice fields beyond.